Make the most of your new walk-in bath or easy access shower installation by complimenting it with a wide range of accessories to help provide further comfort and support. As we get older, safety is crucial and bathroom accessories such as grab rails and drop down rails can offer this support - helping to prevent the risk of falls and promoting confidence to bathe independently. 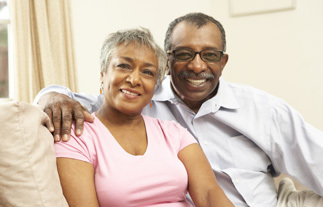 Should you have any questions please call one of our expert advisors on 0800 756 2844. Simply click on the feature below to reveal more information. 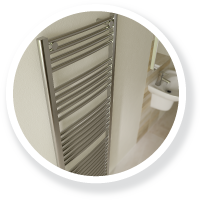 The sophisticated design of today's heated towel rails makes them a functional bathroom accessory that also offers a stylish update to your bathroom, keeping your towels warm and fluffy. Our range of drop down rails provide additional security in the bathroom. A sturdy drop down rail can aid in rising from a seated position in the bathroom, when getting up from and down on to a toilet seat can be difficult. 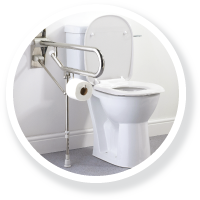 Drop down rails are a practical alternative where standard grab rails may not offer sufficient support and make using bathroom facilities independently safer. Drop down rails are also particularly useful when transferring weight over from a wheelchair. Where space is limited, their functional design offers flexibility and assistance when it's important. 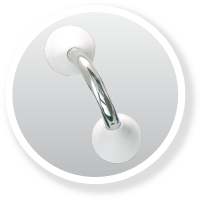 Our range of drop down rails are available in white, blue or a contemporary chrome style finish, helping it to fit seamlessly into your existing bathroom. 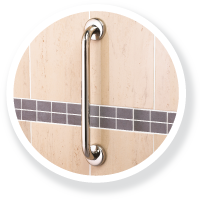 Our bathroom grab rails are available in convenient sizes and have a functional design. They come in white, blue or a contemporary chrome style finish to compliment your décor. The ergonomic design of the rails makes it easy to grip them firmly, providing greater balance when walking across wet floors or dressing. The addition of a shower seat can help to make the process of showering or bathing less exerting and improve safety in the bathroom. Our wide range includes both wall-mounted and free-standing shower seats to suit your purpose. They are available in various sizes and finishes to meet different comfort and support needs. 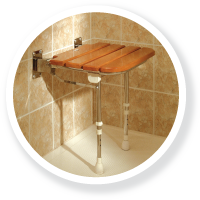 Providing comfort as well as minimising the risk of slipping or falling in the bathroom, a secure shower seat offers a greater upright and supported position when using the shower at home. 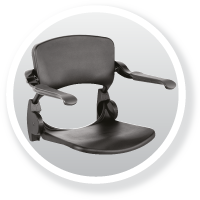 LinidoSolutions™ seats are designed to provide ergonomic support, comfort and increased independence for the user in various bathing and showering situations. Our shower grab rails are simple to install and offer extra support when standing or even sitting in the bathroom. Made from durable materials, the bathroom grab rails can withstand weight when lifting up from the bathtub or toilet and help to reduce the risk of injury. LinidoSolutions™ grab rails are available in a range of 6 colours: black, blue, chrome, cream, red and white.